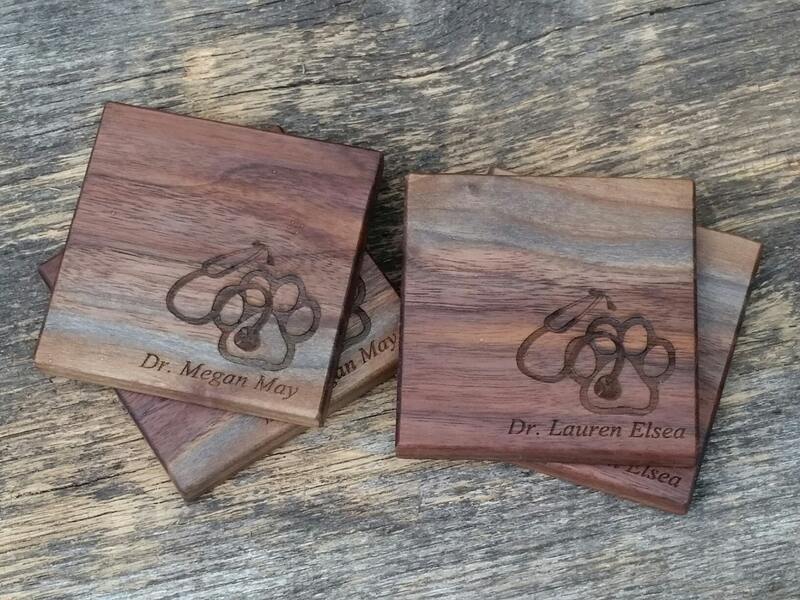 Looking for a Father's Day, birthday, holiday gift for the Veterinarian in your life? 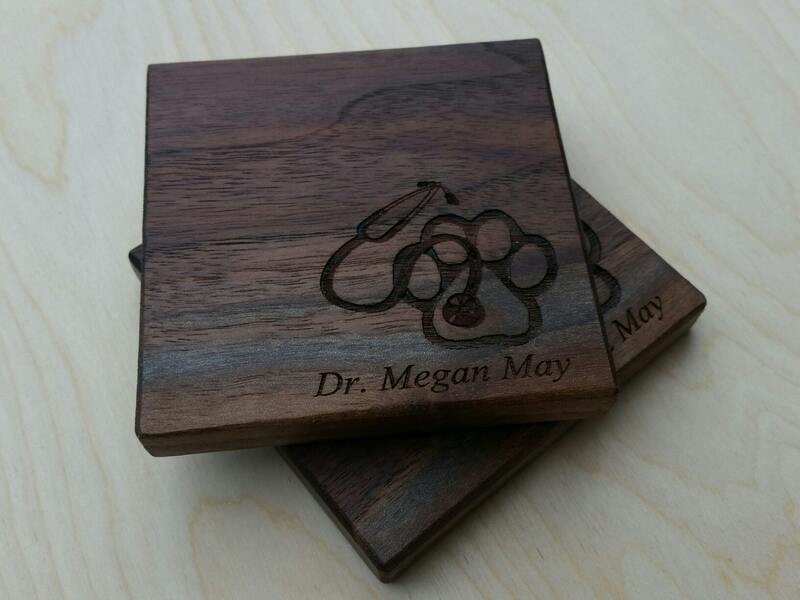 Each coaster is crafted from ruff lumber & engraved by us from curly maple wood, black walnut, mahogany or aromatic eastern cedar trees. Wood color and pattern will vary as each piece has it's own uniqueness.